Dr. Harries is a graduate of the University Of Pennsylvania School Of Veterinary Medicine, where he volunteered at the Providence SPCA, and was involved in cardiology and emergency medicine research. His unique background includes a trip performing surgery for dogs and cats throughout Thailand with the International Veterinary Students Association, and spending an extensive period of time in Namibia tracking and treating animals such as Leopards, Cheetahs, Caracals, African Wild Dogs, Baboons, and many varieties of Antelopes. He has a love for all domestic and exotic species, and is passionate about all aspects of medicine with a special interest in surgery and cardiology. Dr. Harries is a member of the American Veterinary Medical Association, American Animal Hospital Association, American Association of Feline Practitioners, and Humane Society Veterinary Medical Association. In his spare time, he loves getting outside whenever he can, whether it’s playing sports or going for a hike with his Sheepadoodle, Yogi. 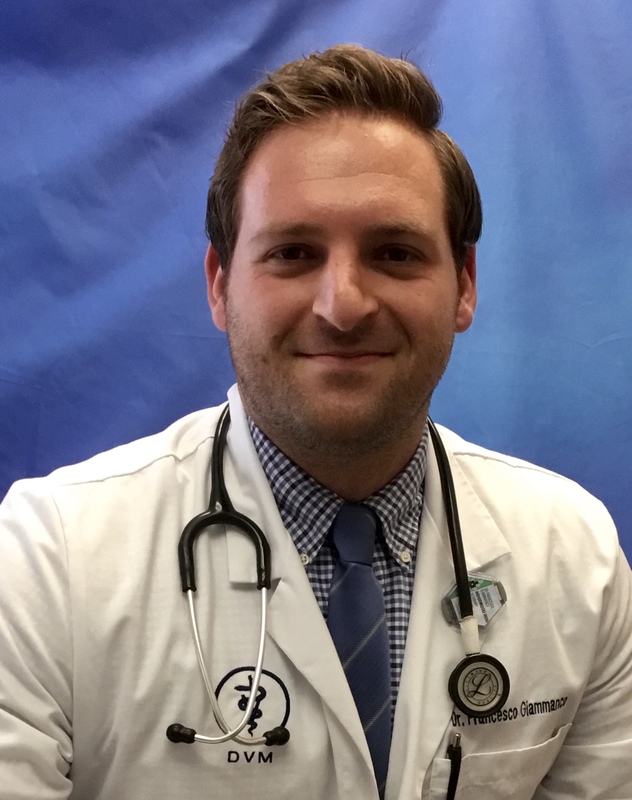 Dr. Giammanco attended St. George's University School of Veterinary Medicine located in the Caribbean on the small island nation of Grenada and spent his clinical year of vet school at the Ohio State University College of Veterinary Medicine. He has special interests in canine and feline internal medicine and surgery, and has a passion for specialized surgery and exotic pets. He is a member of the American Veterinary Medical Association and is a USDA accredited veterinarian. 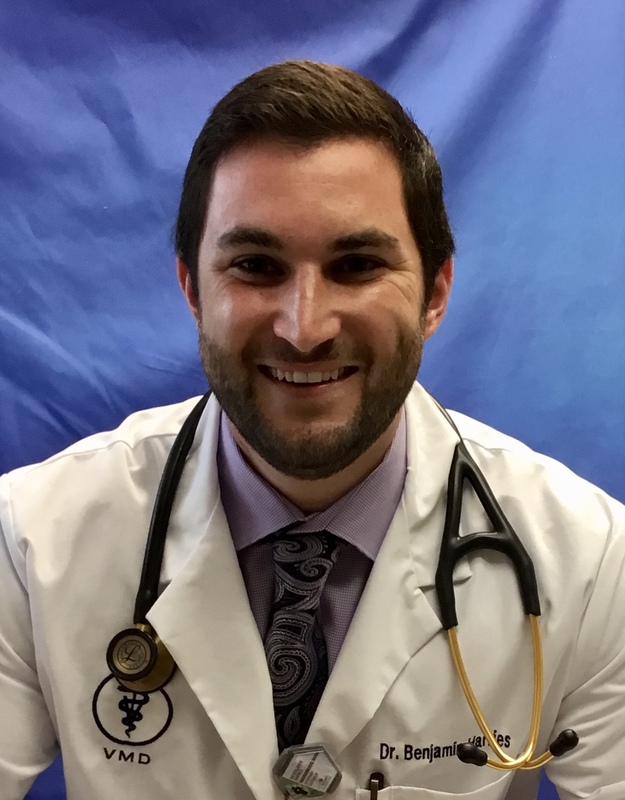 Dr. Giammanco has grown up with pets all his life ranging from dogs and cats to fish and rats, and currently lives in a household with four beagles. His interests include anything involving the outdoors like camping, fishing, and hiking, sports such as football, soccer, and racquetball, and other hobbies such as archery, cooking, and carpentry.